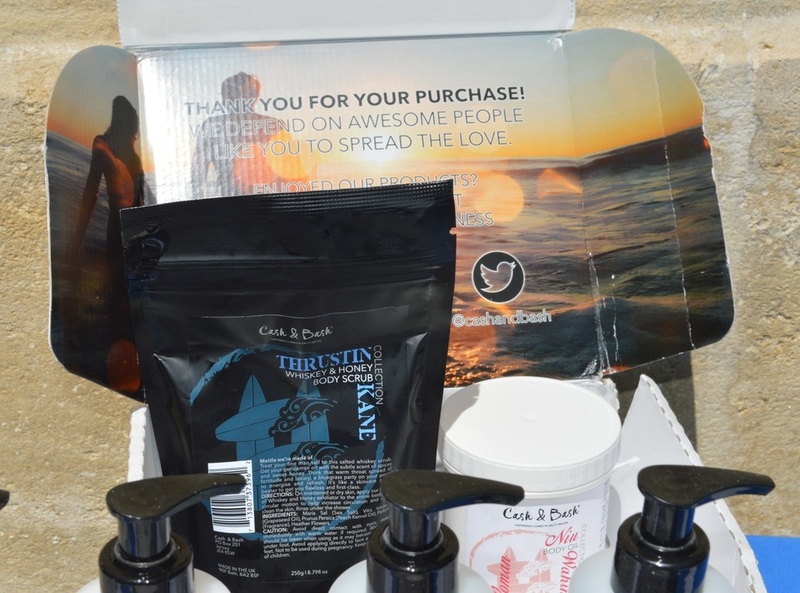 The basic formula for the whole Wahini line (dreamt up for ladies of outdoorsy habits) is based on some familiar herbal extracts. 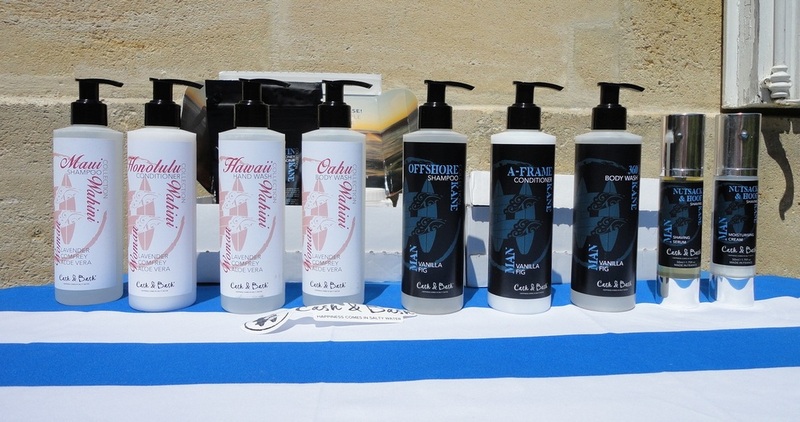 The main active ingredients in the Hand Wash are lavender, aloe vera and comfrey. Lavender is the most versatile of all the essential oils, particularly good for healthy skin and hair, a natural anti-septic and anti-inflammatory. Aloe Vera is famous for its soothing and healing properties and comfrey (a herb of the borage family) is reputed to be a powerful anti-inflammatory and cell repair booster. Coconut's natural cleansing properties add to the plant-based mix. The hand wash gel comes in a see-through plastic bottle holding 250 ml with a twist-locking pump. I find this to be the best type of container for liquid hand soap as there are no post-use drips. The clear gel makes a nice lather, naturally low in suds as there are no artificial soapy additives. My hands can get rough and dry so the gentle action of this hand wash is perfect for my fragile skin. The typically sultry scent of lavender is pleasant but dissipates quickly enough, leaving just clean, soft skin. I love the whole collection. 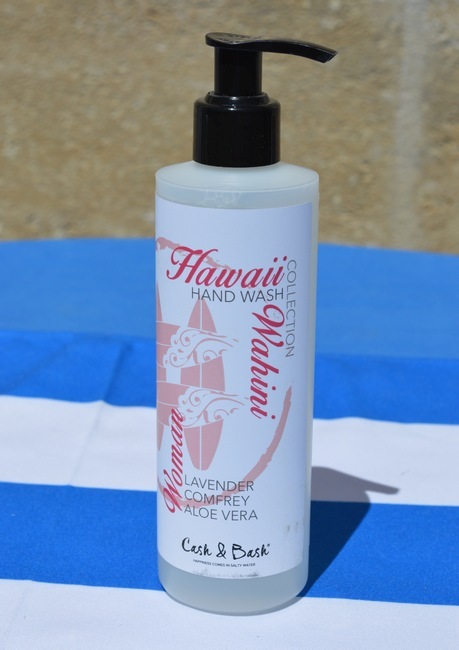 Like the rest of the aptly-named Wahini line, this Honolulu conditioner has a gorgeous lavender scent which, for me, contributes greatly to its appeal. Lavender is probably the most universally beneficial essential oil for skin and hair, among other things. The other main active ingredients are Aloe Vera and Comfrey (a herb of the Borage family thought to have anti-inflammatory and cell repair properties). The see-through plastic bottle holds 250 ml and has a twist-locking pump. The conditioner is a whitish, creamy gel of medium consistency which is absorbed quickly by damp hair. I know it's supposed to be rinsed off, but I have found it to be an excellent leave-on product for these hot summer's days when I get to swim practically every day. After washing or rinsing my hair in clear water, I have been applying a very small amount (a couple of pumps) which I brush and leave on my hair. It takes care of the frizzies, facilitates combing, and leaves my hair incredibly soft and, of course, fresh-smelling. 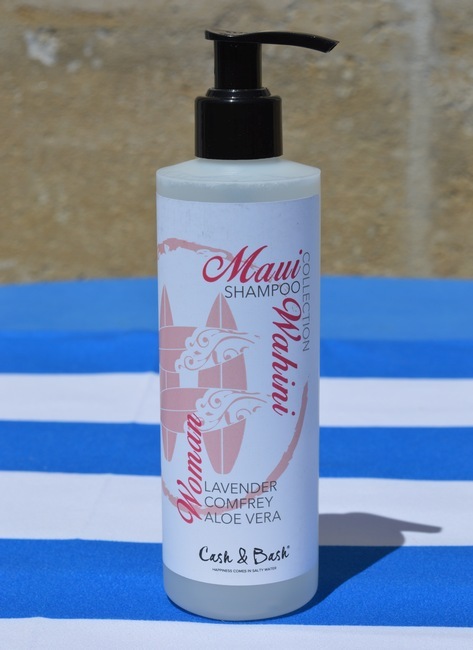 If you want the full treatment, there is a matching shampoo called Maui. Not surprisingly, they are made to work together. Like the rest of the Wahini line (specifically concocted for us ladies), this shampoo smells predominantly of Lavender. Not everyone likes that scent, but I do. Out of all the essential oils, Lavender is probably the most beneficial for skin and hair. The other main active ingredients are Aloe Vera and Comfrey (a herb of the Borage family thought to have anti-inflammatory and cell repair properties). This shampoo comes in a 250 ml see-through plastic bottle with a twist-locking pump. It is a clear gel which, like similar natural products, works withouth making a lot of foam and does not have the overly slippery consistency of shampoos full of artificial additives. However, it starts to make suds on a second pass; it rinses off easily, leaving hair clean and fresh-smelling. I find that a little is all I need, and it seems to be particularly good at removing the salt content of swimming pool water and, of course, sea water. 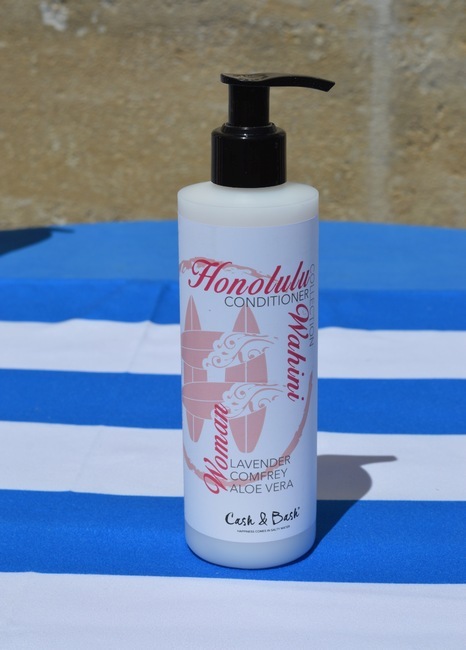 The Aloe Vera puts back shine and, if you have the matching conditioner, your hair will immediately look and feel softer. In the summer I try to swim almost every day and my hair used to be a frizzed-out mess but, since I started using Argan Oil and other organic shampoos, that problem is greatly reduced. I really like how this shampoo compares with the best natural ones I have tried. This is one of the best products of its kind that I have ever tried. 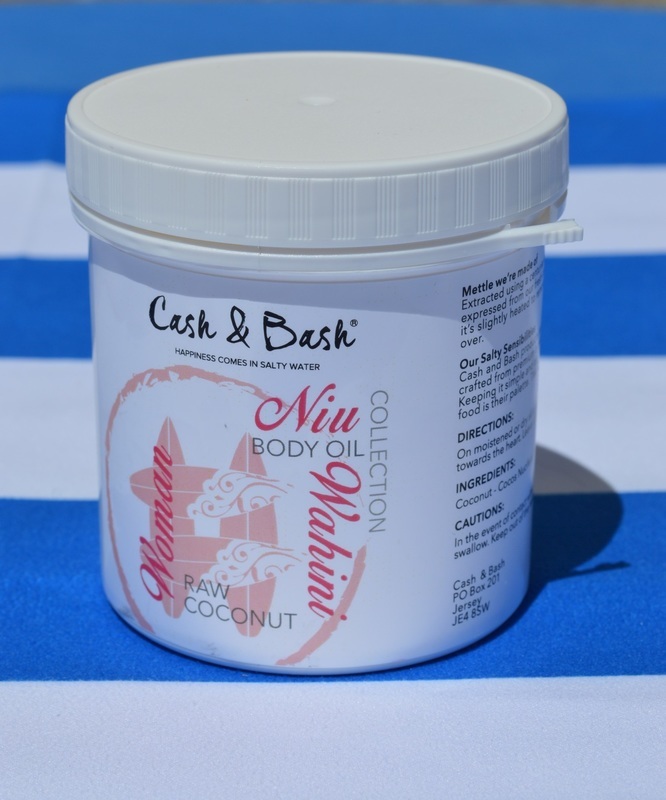 Coconut oil is a multi-tasking substance with a natural affinity for human skin: disinfectant, antibacterial, antiviral, antifungal, skin moisturizer. This raw, fermented coconut oil, is made in the UK and packaged in a decent-sized plastic tub (250 g) which can easily last a couple of months (based on our once- or twice-daily use). The scent is incredible and it's the greatest after-sun replenisher of moisture and silkiness for our toasted skin. I also apply it to my face after cleansing and before my night cream. It melts on contact with the skin (coconut oil has a melting temperature of 25°C) and, although it looks very shiny at first, in a few minutes it is completely absorbed, the reason being that it has a fat profile very similar to that of our natural sebum. Other cosmetic uses: you can let some coconut oil melt in your mouth and swish it around like mouthwash in a process called “pulling” which is said to kill bacteria and brighten your smile. It's an additive-free sunscreen which will block 20% of the sun's rays, so best left for when you already have a tan to keep the skin nourished and supple. I also make a hair conditioning mixture with melted coconut oil to which I add appropriate essential oils. Despite its oily texture, it can treat acne - although I have no personal experience of this. And finally, now that flea and tick season is upon us, I also put a small amount on my cats' coats to discourage pests. 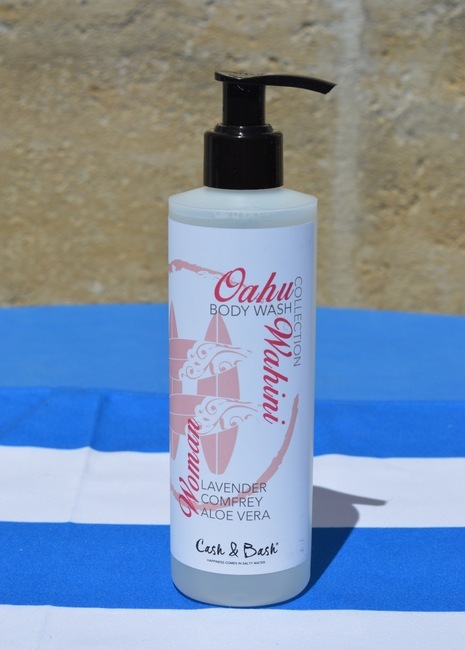 The Wahini line (for ladies of outdoorsy habits) is based on some familiar natural ingredients. The Body Wash shares the same wonderful formula of Lavender, Aloe Vera and Comfrey. Out of all the essential oils, Lavender is the most versatile with many benefits for skin and hair. Aloe Vera is a skin healer par excellence and Comfrey (a herb of the Borage family) is reputed to have anti-inflammatory and cell repair properties. Coconut's natural cleansing properties add to the plant-based mix. The see-through plastic bottle with a twist-locking pump holds 250 ml. The clear gel lathers nicely without the slimy feel of artificial soapy additives, and leaves my skin clean and fresh-smelling but also very soft and hydrated. It is mild enough to work as a face wash as well, which is how I use it every night to remove all oily traces of make-up. It seems to be particularly effective at removing salt residue from my swimming sessions. I love it.